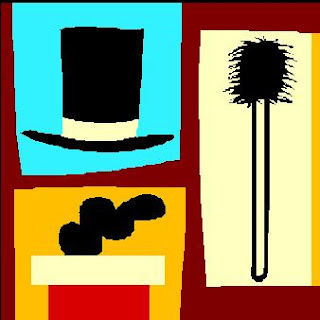 I am working with a group of Chimney Sweeps, helping them build their Biz Plans, in a private Challenge program. I LOVE Sweeps! I am so appreciative of the valuable skills that they bring to our world. They help keep us safe when we play with, and heat with, fire. It’s an honor to work with them. They deserve to make lots of money doing the essential work that they do. What I’ve learned is that when you are REALLY good at one area of your life, it can be VERY frustrating to be awkward in a new endeavor. As I help folks build Bare Bones Biz Plans, we work through some of these awkward moments. In order to become master Biz Builder, you may need to start at the beginning…new words and terms, new tools, new understandings. Sheesh. Well, I was the least skilled person in my class. Within a few minutes of swinging the hammer, I got a dime-sized blister on my hand. My skinny arm filled with lactic acid and shook like a Polaroid picture. Halfway through the weeklong class, I burst into tears as a realized that I damaged one of the teacher’s lovely metal working tools! Oh, how humbling to be a beginner. But, I went back. No one expected me to be an expert Blacksmith at the end of the week. What I expected, what my teacher expected, was that I would hang in there and learn something. Trying new things expands your mind and your awareness of the human condition. It helps you connect with others. Creative endeavors keep us young and fresh. 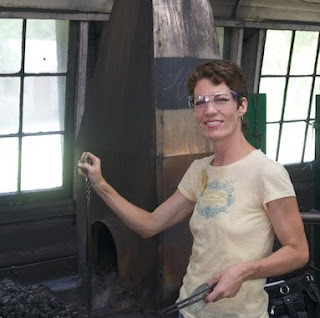 And, you know, if I keep after it…I could even attain Blacksmithing mastery. Learning plus focused application of the skills can lead to mastery. Or not. I don’t have to pursue this. I can chose to. If I do, my mastery may come…and I will probably shed a few more tears along the way. Trying something new in your business? Does it feel wierd? Good. You are learning. Press on through the fire to freedom!